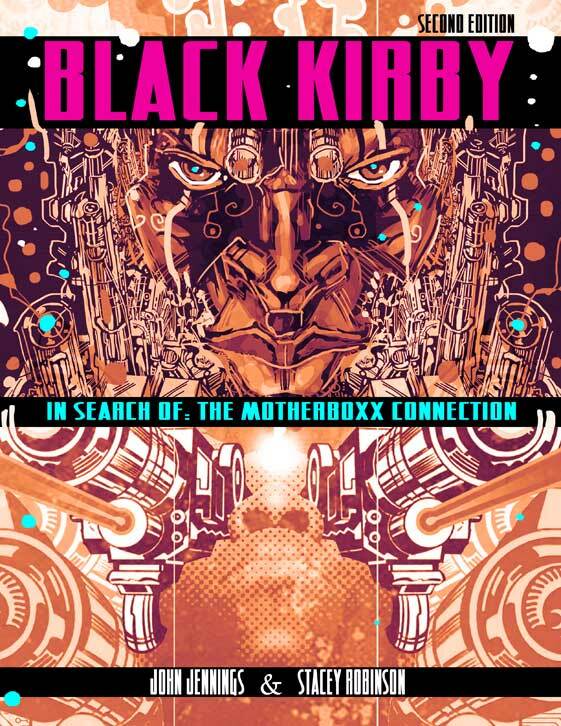 Black Kirby is a collaborative “entity” that is the creative doppelganger of artists/designers John Jennings and Stacey “Blackstar” Robinson. The manifestation of this avatar is an exhibition and catalog of primarily visual artworks-on-paper that celebrate the groundbreaking work of legendary comic creator Jack Kirby regarding his contributions to the pop culture landscape and his development of some of the conventions of the comics medium. Black Kirby appropriates the gallery as a conceptual “crossroads” to examine identity as a socialized concept and to show he commonalities between Black comics creators and Jewish comics creator and how they both utilize the medium of comics as space of resistance. The duo attempts to re-medicate “blackness” and other identity contexts as “sublime technologies” that produce experiences that sometime limit human progress and possibility. JOHN JENNINGS is an Associate Professor of Art and Visual Studies at the University at Buffalo-State University of New York. He is an award winning visual artist, designer, and graphic novelist. His research and critical making engage with re-interpreting and disrupting stereotypical images of Black people in popular visual media. He is the co-author of the graphic novel The Hole: Consumer Culture, Vol. 1 and the art collection Black Comix: African American Independent Comics Art and Culture (both with Damian Duffy). Jennings is also the co-editor of The Blacker the Ink: Constructions of Black Identity in Comics and Sequential Art and co-founder/organizer of The Schomburg Center’s Black Comic Book Festival in Harlem, the MLK NorCal’s Black Comix Arts Festival in San Francisco, and the AstroBlackness colloquium in Los Angeles at Loyola Marymount University. 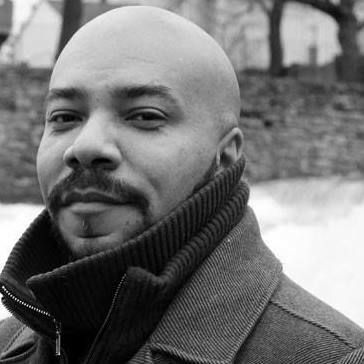 Jennings’ current comics projects include the hip hop adventure comic Kid Code: Channel Zero, the supernatural crime noir story Blue Hand Mojo, and the upcoming graphic novel adaptation of Octavia Butler’s classic dark fantasy novel Kindred. STACEY ROBINSON is completing his Masters of Fine Art at University at Buffalo. He is originally from Albany NY and he graduated from Fayetteville State University where he earned a Bachelor of Arts. He is part of the collaborative team Black Kirby with artist John Jennings that creates comic books, gallery exhibitions and lectures that deconstruct the work of artist Jack Kirby and re-imagine Black resistance spaces inspired by Hip Hop, religion, the arts and sciences. His thesis (2015) Binary ConScience explores ideas of W.E. B. Du Bois s double consciousness as a Black cultural adaptation and a means of colonial survival. 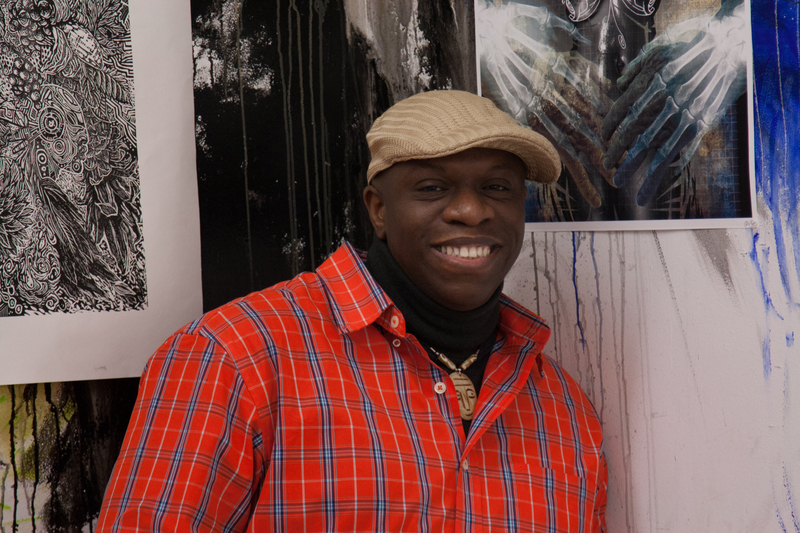 In 2010, he was a part of the exhibition Invisible Ink: Black Independent Comix, at University of Tennessee at Knoxville and in 2009 he exhibited as part of Body in Motion at the Fayetteville State University Rosenthal Gallery, and Beyond the Frame: African American Comic Book Artists, Presentation at the Flint Institute of Arts, Flint, MI.